The consolidated net loss of Flipkart Internet Pvt. 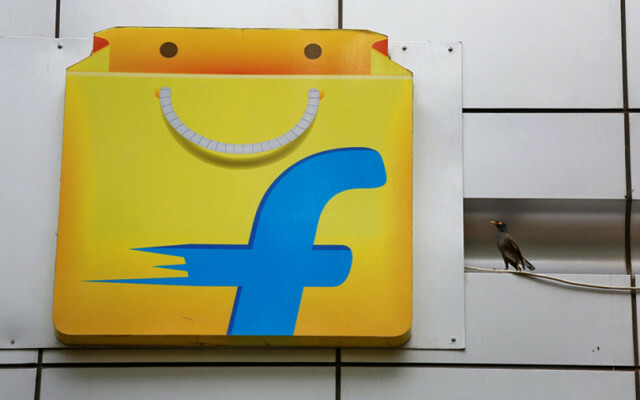 Ltd, which operates the marketplace of homegrown e-commerce major Flipkart, narrowed to Rs 1,640.2 crore in the financial year 2016-17 compared with Rs 2,305.7 crore in the previous fiscal, according to filings with the Registrar of Companies. Operating revenue (consolidated) increased 15% to Rs 1,882.4 crore in 2016-17 from Rs 1,635.1 crore the previous fiscal. Total expenditure stood at Rs 3892.8 crore for the financial year ending March 2017, slightly lower than Rs 3970.8 crore in the previous financial year. Email queries sent to Flipkart and Walmart seeking comment on the financials did not immediately elicit a response. Earlier this month, US retail giant Walmart Inc announced that it would acquire Flipkart for $16 billion. In the fiscal year ended March 2018, Flipkart recorded gross merchandise value of $7.5 billion and net sales of $4.6 billion. The deal with Walmart values Flipkart at $20.8 billion around 4.5 times its net sales. Also on Thursday, Amazon Seller Services Pvt. Ltd, the Indian online marketplace arm of Amazon.com Inc., sank deeper into the red in the year through March 2017 as it continued to spend heavily in a bruising battle with main local rival Flipkart. The company's standalone net loss widened to Rs 4,830 crore for 2016-17 from Rs 3,680 crore the year before, show filings with the Registrar of Companies. Total expenditure rose 34% to Rs 7,815.6 crore from Rs 5,859.4 crore. Earlier this month, media reports said that Flipkart India Pvt. Ltd, the wholesale arm of e-commerce major Flipkart, had more than halved its losses for the year through March 2017 as revenue rose and it controlled its expenses.